Provide comfort for the family of Willard Eckhoff with a meaningful gesture of sympathy. Willard Bub Eckhoff of Cadet, MO, was born June 19, 1937, in Cadet, Missouri, a son of the late Jesse and Ellen (Emily) Eckhoff. Bub departed this life Friday, March 29, 2019, at his residence having reached the age of 81 Years, 9 Months and 10 Days. Bub was united in marriage to Theresa Missey on May 13, 1961, in Tiff, Missouri. Bub is survived by his wife Theresa Eckhoff of Cadet, MO, three daughters, Jo Ann Cain and husband John of Cadet, MO, Judy Coleman and husband Greg of Cadet, MO, Barbara Ross and husband Joe of Cadet, MO, three sons, Larry Eckhoff and wife Denise of Cadet, MO, Duck Eckhoff of Cadet, MO, Boo Boo Eckhoff and wife Sandy of Bonne Terre, MO, two brothers, Mike Eckhoff of Cadet, MO, Gary Eckhoff of Cadet, MO, 15 grandchildren, 32 great grandchildren and by 1 great great grandchild. In addition to his parents, Bub was also preceded in death by three sisters, Mandy Missey and husband Junior, Lilly Pidcock and husband Walter and Margie Jackson, one brother, Jesse Eckhoff and one granddaughter, Ashley Emily. Bub had a great love for his family, he always strived to provide the best he could for them and loved each with his whole heart. He was a logger by trade and worked many hours in the log woods to support his family and shared his logging talent with many young men. He enjoyed spending time in the outdoors, hunting and digging roots. He spent many hours working his farm and cows. He was always ready to venture out and go to an auction. 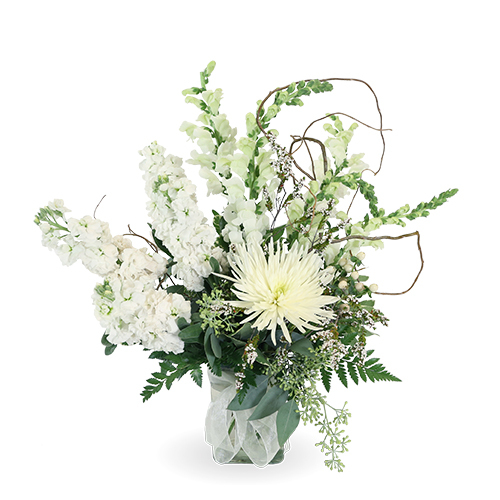 To send flowers in memory of Willard Bub Eckhoff, please visit our Heartfelt Sympathies Store. Benjamin Franklin sent flowers to the family of Willard Bub Eckhoff. Benjamin Franklin purchased flowers for the family of Willard Eckhoff. May the family of Willard Bub Eckhoff please accept my sincere condolences hoping you find comfort in God's words at Acts 24 : 15 and Psalm 37 : 29.